Sat­ur­day saw our team advance to the nation­al final of the ARE­NA League by win­ning the North East ARE­NA League Final for the third year in a row. The team returned from Cor­by tri­umphant in retain­ing the Grand Final Cham­pi­onship for a 4th year run­ning. This equals the cur­rent record of 4 straight wins. At a meet­ing of the exec­u­tive com­mit­tee last Thurs­day it was agreed that the club fees for 2014 will be £100.00. In addi­tion to these fees there will also be ASA fees to pay at renew­al in January/​February. Date set for this year’s AGM and an impor­tant announce­ment about meet refunds. One of our most suc­cess­ful sea­sons for many years with our junior swim­mers, and par­tic­u­lary Sophie Tay­lor excelling. Three bronze medals and a British Age Group Record for Sophie Tay­lor round off a suc­cess­ful week for City of Leeds at the British Championships. The sec­ond week­end of the NER Age Groups saw many phe­nom­e­nal swims to top off some of the most spec­tac­u­lar rac­ing the club has seen at region­al level. Find out how easy it is to sup­port your club with easyfundraising. The York­shire Teams and Sprints week­end saw our swim­mers add a fur­ther 69 medals to this year’s haul to retain the Top Age Group Trophy. 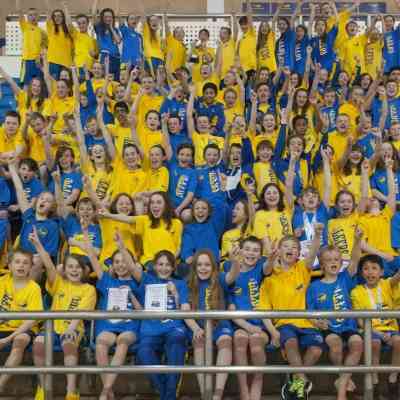 Some great swim­ming at the John Charles Cen­tre saw huge improve­ments on last year’s medal tally. Many hands make light work as our swim­mers raise over £1000 pack­ing bags. Last weekend’s New Year Grand Prix saw some wel­come per­for­mances as we start the new year as we mean to go on.